The state’s lawsuit outlines deals in which nonprofits got nothing or pennies for donations. Value Village said that it was in compliance with all laws and that it has paid more than $120 million to nonprofits over the past decade. People who shop at and donate to Value Village may not be helping charitable causes to the extent they think — but instead are enriching the thrift-shop chain’s owner, according to the Washington Attorney General’s Office (AG). The office Wednesday sued the thrift chain’s Bellevue-based owner, saying it used deceptive advertisements and marketing to make people think Value Village is more philanthropic than it actually is. In reality, the suit says, Value Village has sold many donated items in its 20 stores across the state “at a substantial profit” without any proceeds going to charity. Before the AG’s office began investigating in 2015, nonprofits typically got nothing when non-clothing items were donated, according to the suit. Then the thrift shop began providing nonprofits money, but not much: Big Brothers Big Sisters, for instance, got 2 cents for each piece of furniture, or 2 cents per pound for housewares, such as books and toys donated at the stores. (Those rates grew to 19 cents if the charity itself collected and delivered the items to Value Village stores). “Value Village made millions by deceiving consumers and donors,” Attorney General Bob Ferguson said in a statement announcing the suit. And in cases where charities do benefit, the donation is often smaller than the public realizes — sometimes pennies per item. It cited a 2013 deal with Big Brothers Big Sisters of Puget Sound, under which the nonprofit would get 13 cents for a $10 sweater sold at Value Village. The Attorney General’s Office investigation found 90 percent of Washington residents overestimated the amount of money local nonprofits got from Value Village purchases. The office is seeking penalties that could reach millions of dollars. Still, charities benefited from Value Village in other ways. Some nonprofits would get paid fixed fees as part of licensing agreements or would get help from Value Village in fundraising, with the thrift shop encouraging customers to donate to charities directly. TVI, which owns 330 Value Village, Savers and other thrift-shop stores around the world,filed a pre-emptive suit against the Attorney General’s Office this past week. The company argued the AG office’s demand to know the percentage of sales proceeds that go to charities violates its free-speech rights. And it said the attorney general wanted a $3.2 million settlement even though the request didn’t appear to be connected to any legal violations. 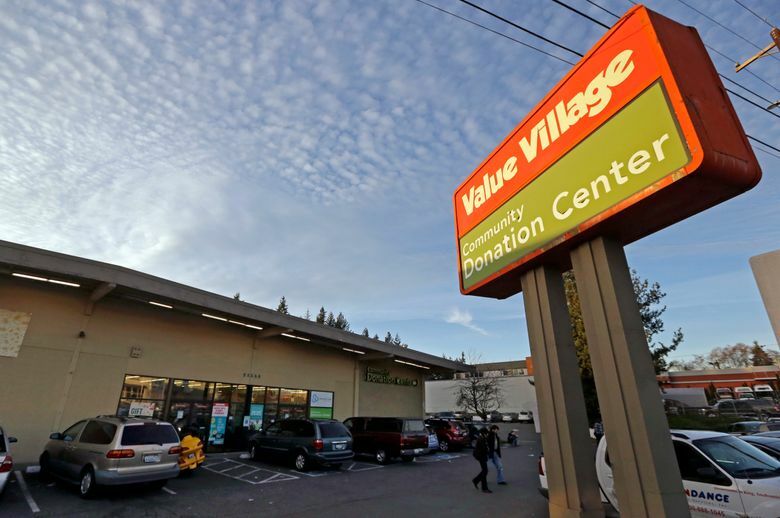 In a statement Wednesday, Value Village said it paid nearly $13 million to nonprofits in Washington state this past year, and more than $120 million during the past 10 years. It produced statements of support from the local Big Brothers Big Sisters chapter and the Seattle nonprofit Northwest Center, two nonprofits cited in the suit. Sara Gaugl, a company spokeswoman, said it was still reviewing the complaint but called the AG’s actions “misguided.” She said it has addressed questions from the state during the AG’s investigation for years. The office’s lawsuit follows a similar case in Minnesota, which led the company in 2015 to pay that state $1.8 million and overhaul its donation and disclosure practices as part of a settlement over its Savers brand stores. Most of the company’s shops nationally are Savers, but they operate as Value Village in the Pacific Northwest. The firm makes about $1 billion in sales annually, which Ferguson said makes it the largest for-profit thrift-shop chain in the world. Two private equity firms, TPG Capital and Leonard Green & Partners, combined own 40 percent of the company, while Chairman Thomas Ellison owns another 40 percent. The 37-page complaint, filed in King County Superior Court, outlines a series of what the attorney general calls deceptive marketing practices that violate the state’s Consumer Protection Act and the Charitable Solicitations Act. 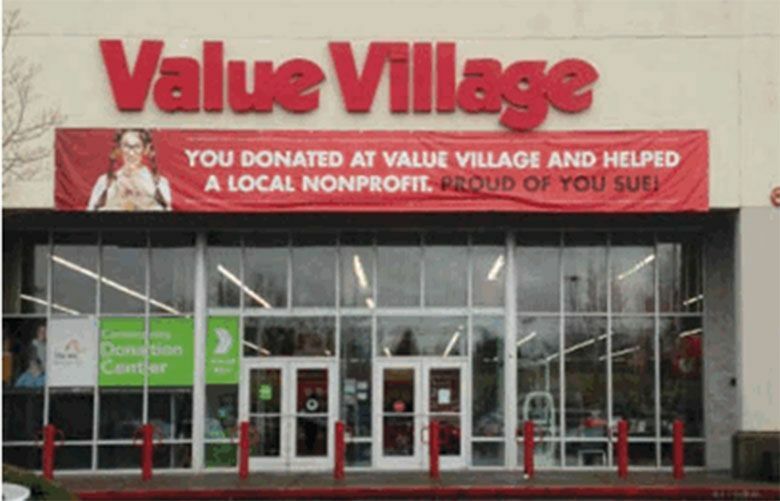 In one case, it says Value Village advertised from 2005 to 2015 that donations made at its Marysville, Edmonds and Everett stores would benefit the Moyer Foundation, founded by former Seattle Mariners pitcher Jamie Moyer. But Value Village stopped donating to the Moyer Foundation in 2006. (The Moyer Foundation found out in 2015, and the company stopped putting the charity in its advertising, the Attorney General’s Office said). A store in Spokane in 2014 advertised that donations would help the Rypien Foundation, founded by former Washington State University quarterback Mark Rypien, which helps families dealing with childhood cancer. In reality, the charity was actually paid a flat fee each month and didn’t get any extra money from donations. The store issues consumers tax receipts for donations, sometimes with logos for specific charities. But donated items like furniture often were sold without benefit to charities, while in other cases proceeds went to various nonprofits not featured on the slip, the suit says. The lawsuit seeks a stop to the advertising practices and financial damages of up to $2,000 per violation. It’s unclear how many violations are alleged, though it is in the thousands, which could push the penalties into millions of dollars.